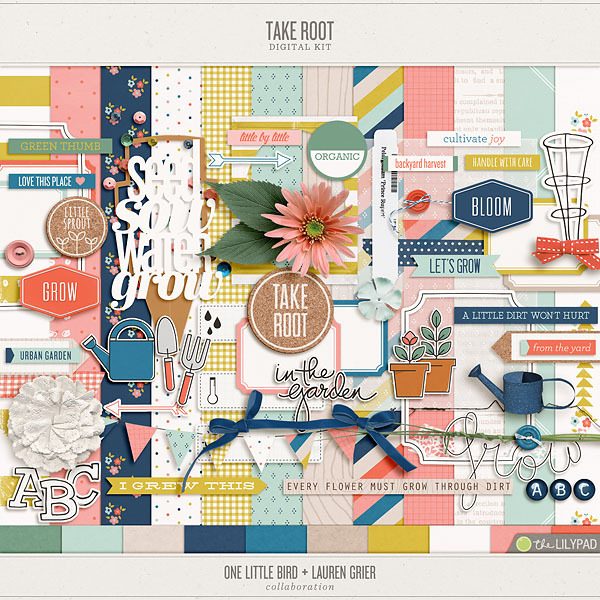 This set of journaling cards coordinates with the Take Root collaboration and includes a total of 10 journaling cards. The individual card files are great for digital scrapbooking pages and digital project life spreads. They are also formatted on a high resolution printable pdf file, making them easy to print out for use on hybrid projects or your project life album - no Photoshop necessary. A PSD version of the printable sheet is also included in this kit, as well as JPG versions with bleed added for uploading to a Professional Print shop. **One Little Bird ProPrint cards measure 3.25 x 4.25" and 4.25 x 6.25" which includes bleed to meet printing specs at Persnickety Prints.